Photo: UK Department for International Development. Creative Commons BY 2.0 (cropped). A UN working group mandated to formulate a set of Sustainable Development Goals (SDGs) for the post-2015 development agenda is being accused of bypassing water and sanitation as a basic human right: a right long affirmed in a General Assembly resolution adopted back in July 2010. A letter of protest signed by 77 non-governmental organizations (NGOs), including Biofuel Watch, Blue Planet Project, Corporate Accountability International and End Water Poverty Coalition, says: “We are deeply disappointed to find the reference to the human right to water and sanitation has been removed from the Working Document” for the current session of Open Working Group (OPW), which began Monday. The protest is being led and coordinated by the Mining Working Group, a coalition of NGOs which promotes human and environmental rights worldwide. Meera Karunananthan of the Canada-based Blue Planet Project told IPS, “The United Nations must not commit to a development agenda that does not further human rights. “We will be talking to member states to demand that they champion a human rights-based approach to the SDGs,” she added. 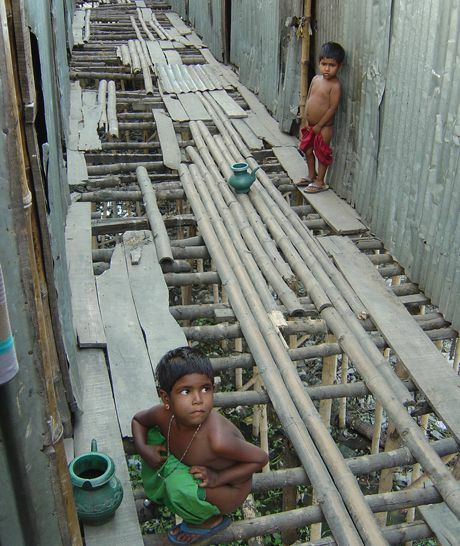 Ruby Majhee, age 6, defecates through a walkway 30 feet above a river in Bangladesh. Photo: WaterDotOrg. Creative Commons BY-NC-SA 2.0 (cropped). Esmee Russell, international campaign coordinator for End Water Poverty, told IPS her organization calls upon the OPW not to backtrack on history and to enshrine the human rights to water and sanitation as underpinning all water and sanitation SDG targets and indicators, as well as the SDG framework as a whole. The NGO coalition is also making a strong push for a “stand-alone goal” for water and sanitation in the proposed SDGs (which did not achieve that singular status in the Millennium Development Goals ending 2015). Asked to identify any groups or countries opposed to this proposal, Russell said it is really positive to see that over 57 countries have already publicly shown their support for a stand-alone water and sanitation goal, and hopefully more countries will continue to do so. “But our concern is that China, Indonesia and Kazakhstan stated in the Open Working Group’s last 10th session that water and sanitation should be addressed through ‘access’ rather than a ‘rights-based’ approach,” she said. End Water Poverty believes that such an approach may ultimately fail many of those still in need of water and sanitation, she added. Comprising a core group of some 30 member states representing various regional groups, the OPW has held 10 sessions since March 2013. The current 11th negotiating sessions, 5–9 May, will be followed by two more sessions in June and July — and perhaps continue into early next year. The new SDGs are expected to be adopted at a summit meeting of world leaders in September 2015. In its letter of protest addressed to UN ambassadors, the NGO coalition says it is crucial the SDG process guarantee the progressive realization of the human right to water and sanitation now and for future generations. “This confirms a broader concern by civil society organizations that human rights have been marginalised within the SDG framework,” said Meera Karunananthan of Blue Planet Project. Given the critical role of water within a number of different SDG areas, “it is vital that the human right to water be seen as a central component of other focus areas including energy, food, gender and climate change”. With 780 million people lacking access to clean drinking water and two billion without adequate sanitation, the letter says, the water and sanitation crisis is one of the greatest humanitarian crises of our time. 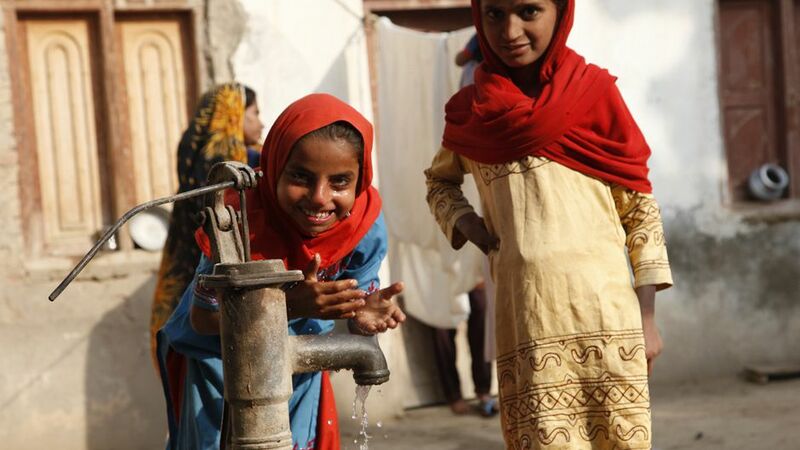 Every year, 3.6 million people die from waterborne diseases, which can be avoided. She also pointed out that water and sanitation remains a target within the focus area document and there has been a lot of support for a stand-alone water goal from a variety of sources. But the latest version no longer contains any reference to the human right to water. “This confirms a broader concern by civil society organizations that human rights have been marginalized within the SDG framework,” she said. A human rights-based approach would ensure that marginalized communities are prioritized, it would ensure accountability and recourse in instances of violations, she added. Over 1.1 million people, many of whom are directly affected by the lack of access to water and sanitation, have signed End Water Poverty’s petition calling for a water and sanitation goal. Russell told IPS that in discussions to date, the importance of access to water and sanitation has been referenced — and the need for a stand-alone goal was clearly stated in the high-level panel report. And the OWG has kept water and sanitation as a “stand-alone focus area” in their recently published focus areas for post-2015. “While this is positive, we are concerned about the framing of that focus area which now contains no reference to human rights to water and sanitation,” she said. It is essential that the human rights to water and sanitation underpin this focus area because it requires an explicit focus on the most disadvantaged and marginalized, as well as an emphasis on participation, empowerment, accountability and transparency, she added. Asked if she was hopeful the current campaign will succeed, Russell told IPS that over 1.1 million people, many of whom are directly affected by the lack of access to water and sanitation, have signed End Water Poverty’s petition calling for a water and sanitation goal, “And we are hopeful that the United Nations and member Governments will respond positively to such a strong and clear demand from citizens”. Thalif Deen, IPS United Nations bureau chief and regional director North America, has been covering the UN since the late 1970s. A former deputy news editor of the Sri Lanka Daily News, he was also a senior editorial writer on the Hongkong daily, The Standard. He has been runner-up and cited twice for “excellence in UN reporting” at the annual awards presentation of the UN Correspondents Association (UNCA). And in November 2012, he was part of an IPS team which who won the prestigious Gold award for reporting on the global environment. A former information officer at the UN Secretariat, and a one-time member of the Sri Lanka delegation to the UN General Assembly sessions, Deen is currently editor in chief of the IPS UN Terra Viva daily electronic newsletter, published since March 1993. Since the Earth Summit in Rio de Janeiro in 1992, he has covered virtually every single major UN conference: on population, human rights, the environment, social development, food security, water, energy and education. A former military editor Middle East/Africa at Jane’s Information Group in the US, a columnist for the Sri Lanka Sunday Times and a longtime UN correspondent for Asiaweek, Hongkong and Jane’s Defence Weekly, London, he is a Fulbright scholar with a master’s degree in journalism from Columbia University, New York.